Because the showroom shine you have now is easy to ruin once you leave the dealership. You’re a car person — you wouldn’t be if you weren’t driving a new Tesla! Cars are an important investment for you and it’s vital to protect them. Once you leave the dealership and hit the road, it leaves your car extremely vulnerable to nicks and scratches whether it’s from rocks and road debris or from the weather. New car paint is soft and supple so unless you plan on keeping your new beauty garaged at all times, you need car paint protection. 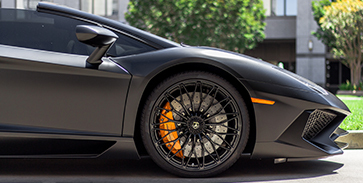 At California Detail Studio, we offer a myriad of detailing services, including Opti-Coat protection. If you’re new to ceramic car coatings, learn more about how Opti-Coat is leading the automotive industry with its premier paint protection. 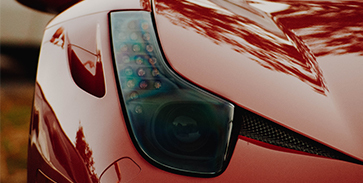 In 2012, Opti-Coat was submitted to the Commonwealth Scientific and Industrial Research Organization (CSIRO) for testing and the results were amazing — not only did it pass their rigorous testing for chemical and scratch resistance, but its paint material was the first material of its kind to hit the automotive industry. If you own a luxury vehicle and want to preserve its like-new looks, Opti-Coat is the only option to leave your vehicle devastatingly gorgeous! 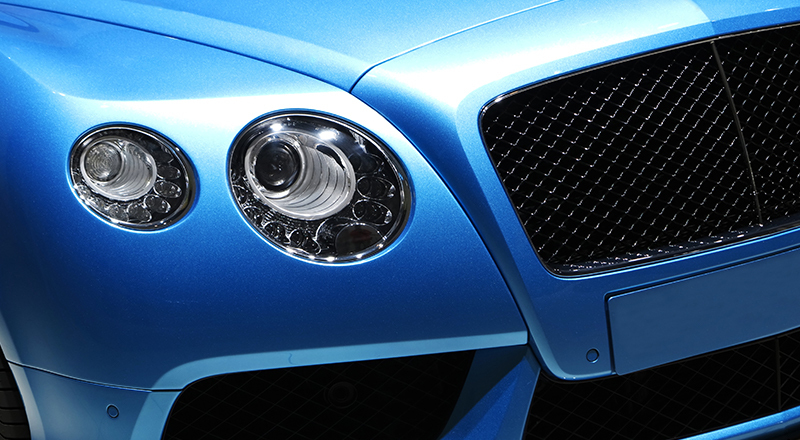 Unlike waxes and other paint protection, Opti-Coat provides superior protection and it’s backed by science. Opti-Coat is a ceramic clear coat that is applied to your luxury vehicle to provide resistance to scratching and a safeguard from chemicals, and it supports a 9H hardness. What is a 9H hardness? A 9H hardness is a scale commonly used in the Pencil Hardness Test to examine how surface coatings standup. The test determines the scratch resistance of a coating by using pencils to scratch the surface and then rate how the coating performs. What is the science behind Opti-Coat? 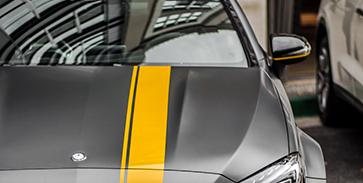 Opti-coat is composed of pre-polymer cross-links that coat your car with a continuous protective film to painted surfaces and leaves a clear coat finish — your beautiful paint job is preserved like new with durable protection. One of the worst things that could happen to your new luxury car is taking it out for a ride and getting scratches from flying rocks or a fender bender in a parking lot, but with Opti-Coat, you get a product that can protect dealership finish even in the worst-case scenario! 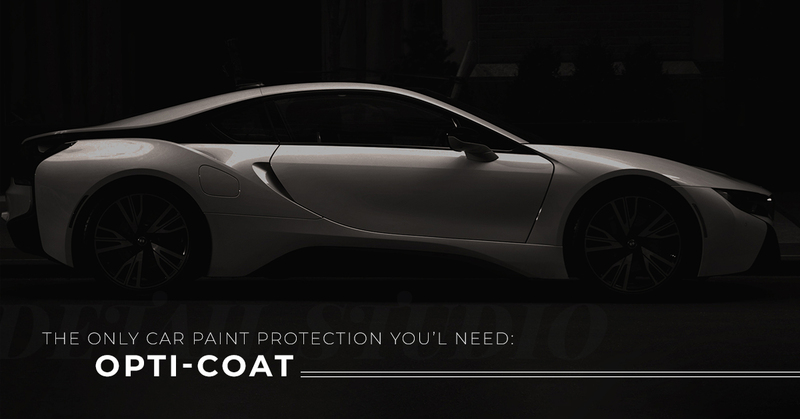 Get the protection, but also get a clear coat that elevates your car’s paint. Opti-Coat leaves a high-gloss finish with amazing longevity. Opti-Guard Fabric – Protects your interior from harsh and damaging UV rays. Opti-Guard Leather – Protects against fading and cracking from the sun and from people! Opti-Glass Pro – Keeps your window glass clean and clear by creating a hydrophobic environment to rinse water and other elements away. If you’re not convinced by the science and protection Opti-Coat provides cars, they even offer a lifetime warranty that includes bug splatter, bird droppings, paint oxidation, and UV exposure. As you maintain your ceramic clear coat by Opti-Coat, you can rest assured that if it doesn’t stand up, the company has your back! Keep your luxury car just as it was when you took it from the showroom floor and elevate its aesthetics with Opti-Coat. You are one rinse away from an Opti-Coat application at California Detail Studio — schedule an appointment today! We’ll even pick your car up and drop it back off if you’re in the LA area!